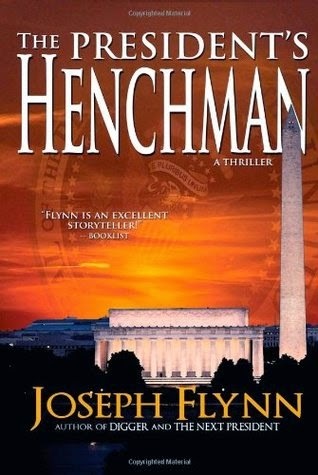 The President’s Henchman by Joseph Flynn is the first novel in the Jim McGill series and, it’s a page turner that had me hooked from the beginning. The concept behind the series is pretty unique in that Jim McGill is the husband of the President of the United States, an ex-cop and now private investigator. The plot has three strands to it, the first concerning a religious anti-abortion faction, who are threatening not only the President but Jim’s family. It is clear from the outset that they mean business because they’ve already murdered the President’s first husband, and this is a storyline that looks set to run throughout the series. At the same time a young Air Force Lieutenant is employed by the President to investigate a case of sexual prejudice within the Air Force. Then there is Jim’s first case as a PI looking into the strange behaviour of a White House reporter. The characters in the novel are all likeable and it seems pretty certain that most of them, such as Jim’s children and protection detail, not to mention his impressive colleague Sweetie, will feature as regulars in the series. The only weakness I detected was one which comes with lots of first books in a series, where the writer has to introduce lots of characters with back stories and also provide them with a context in which to exist. This means that the story can feel overly busy and disjointed. That said, Joseph Flynn has set the foundations for a really good series and I’m very much looking forward to reading more. I have a feeling that this is a series that will only go from strength to strength.